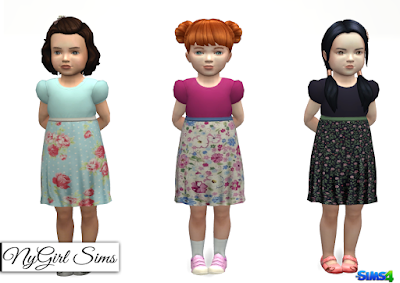 Came back from my crazy impromptu holiday hiatus to find myself joyed when there was an update with toddlers (even though I was oddly okay with not having them in game thus far) so I made this sweet little dress mash up with a waist bow and floral skirt. Made from a mixture of TS4 textures. 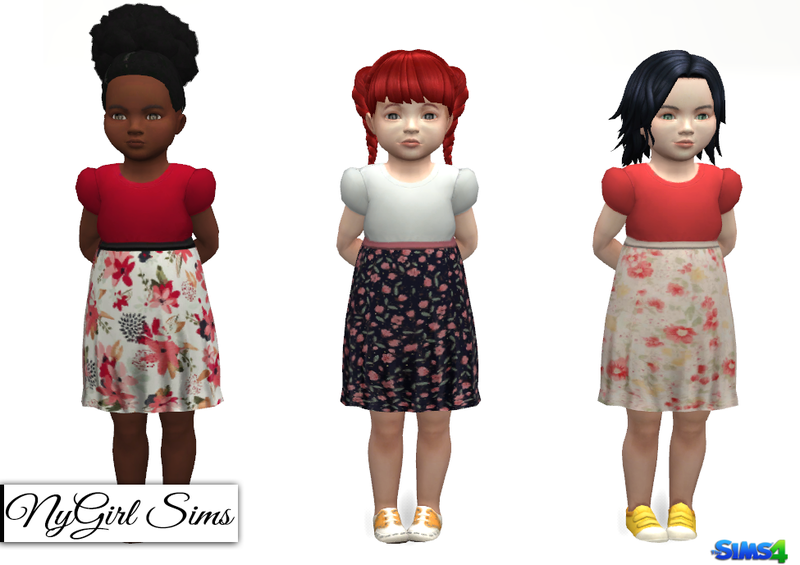 Mesh edit by me. Comes in 15 presets.